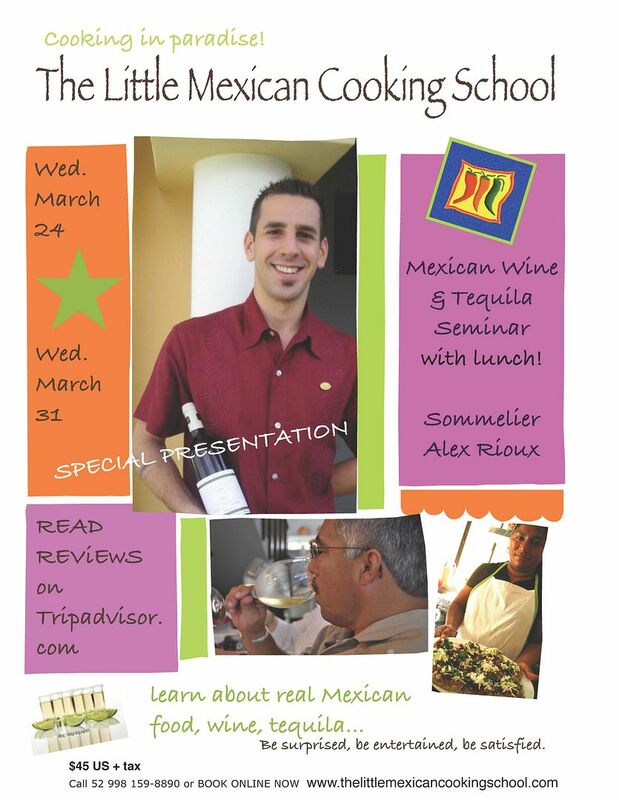 By popular demand, two more dates have been added for the Mexican Wine and Tequila Seminar presented by Sommelier Alexandre Rioux . Reservations are available for March 24 and March 31. Please contact Cat Brown at cat@purtomorelosliving.com for further details and to reserve a seat for this fun and educational class or book online through the The Little Mexican Cooking School website.